Henri Hyppönen is an author (of four books), keynote speaker, creative director, entrepreneur and tv-host. He has founded several companies: including a production company, a research company and a business concept store. He has also worked as the creative director at Finland’s biggest training and marketing company from 2005 to 2011, helping clients with ideas, strategies and culture. He has been awarded speaker of the year (2013), the best comedy show in Finland (2014), science communication award (2015) and radio host of the year (2000). Presently he is Co-Founder and Creative Director of +1 Agency, a company that creates strategies, products and services that help their customers become future relevant. 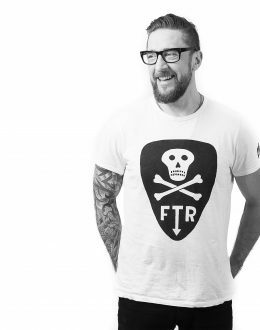 The passion Henkka has for challenging conventional thinking is with him whatever he does. In his keynotes he combines story telling, scientific research, creative thinking and engaging life-case examples to inspire and challenge people to see things differently. With his endless curiosity and intensity Henkka finds himself in demand as a keynote speaker and in helping companies challenge their thinking and change their behavior. He has become widely known for his ability to inspire, influence and challenge audiences to think differently and to acknowledge the „surprising truth”.